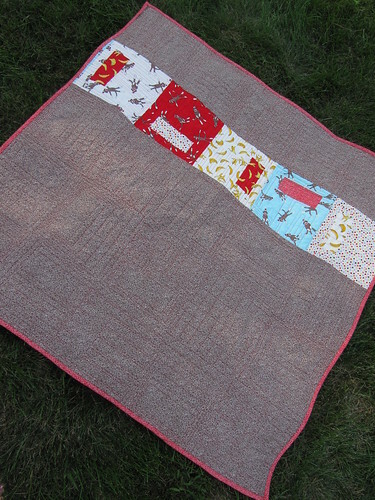 When I make quilt backs, I do the same thing as Tracy - try to incorporate scraps or leftover yardage from the quilt front. There are a few strategies I use. The first is making the back a simpler version of the front. 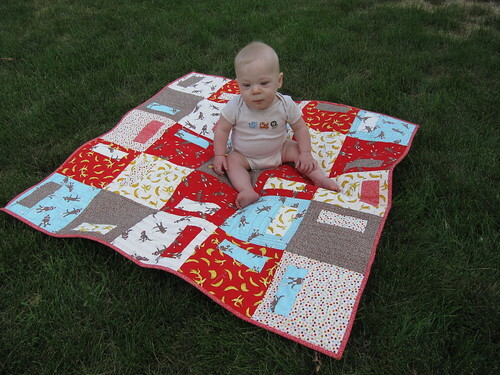 For these quilts I calculated how many blocks I needed for the front and back, and made exactly that number. I don't like having much leftover fabric and I really dislike having leftover blocks, so I do a lot of math before I make my quilts. 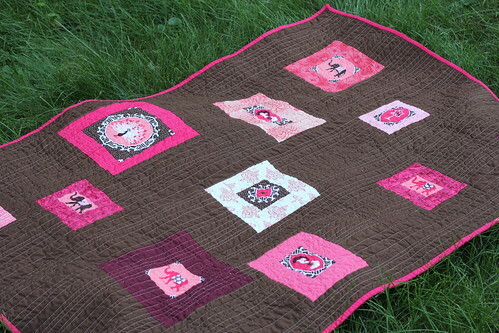 When this quilt was finished I had only a Ziploc sandwich bag full of leftovers. 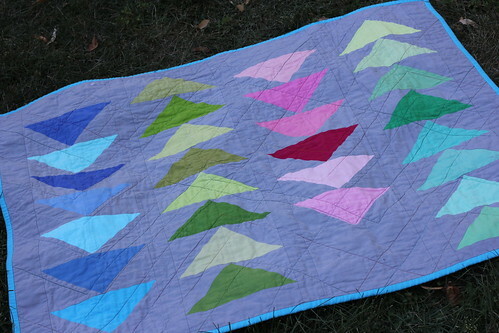 My second strategy is to use up leftover yardage from the quilt front. 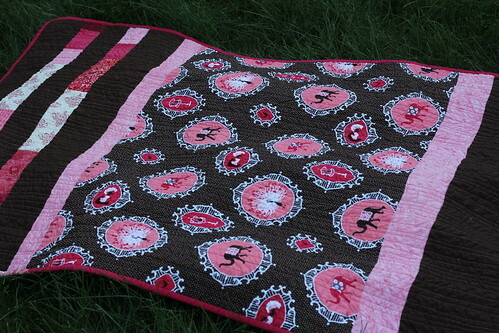 Here I bought a yard of Menagerie on sale and fussy cut only a few squares for the front, so I had a lot of yardage leftover. I used more of the focus fabric for the back than the front. My favorite method is to piece the back using strips. 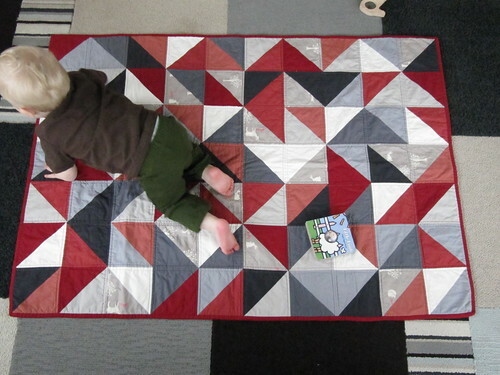 With baby quilts this is super easy. 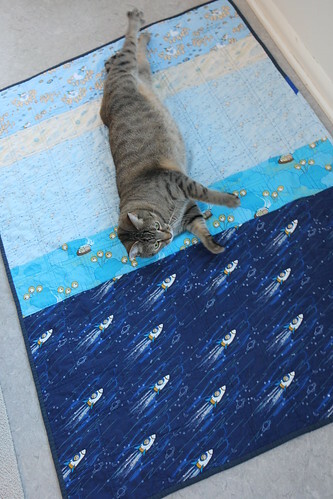 I just cut width-of-fabric (45") strips and piece them together. 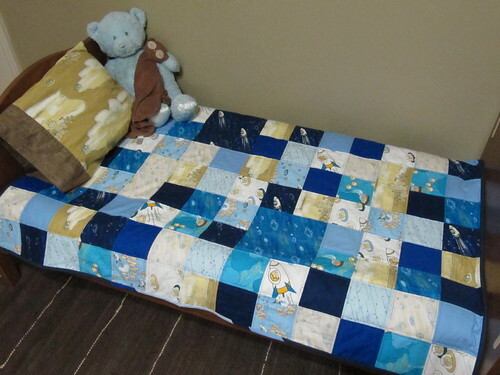 My baby quilts are usually 36" wide so this works well - I like to have the back be a few inches bigger than the front on all sides. 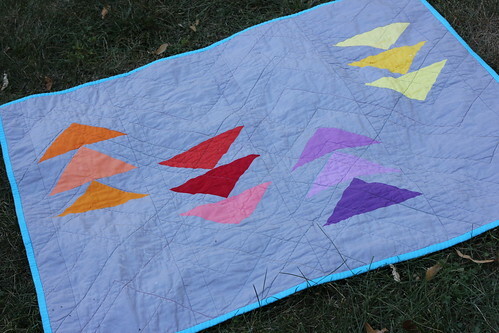 However piecing strips is only easy if you make them big. 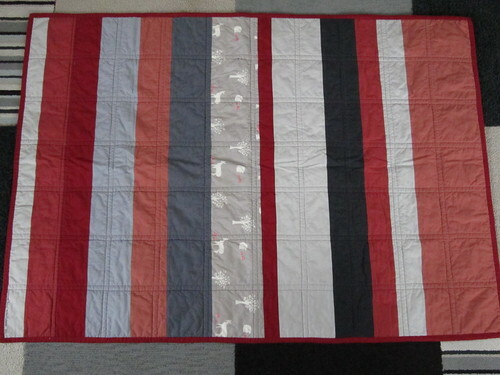 If you make the strips small and you do straight-line quilting, it can be a pain to make sure your quilting lines up with both the front and the back. 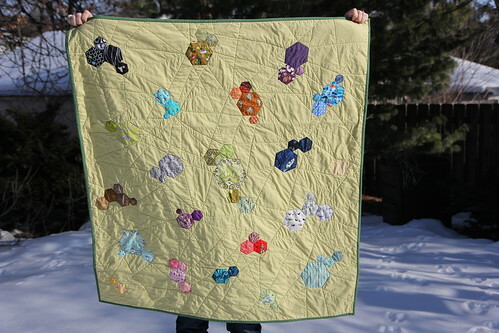 This quilt took a LOT of basting pins. The final strategy I use is solid yardage for the back. Even here I try to use a few scraps, with prairie points in the lower right side. 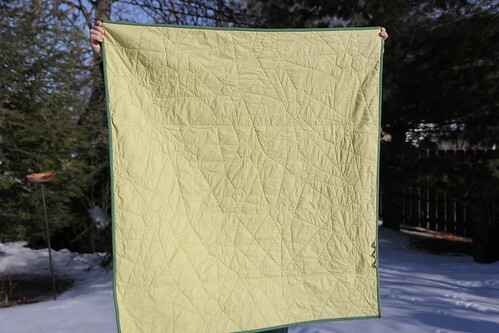 What are your strategies for piecing quilt backs?